Everyone should run an antivirus program on their computers, but there are so many choices, that choosing one can be confusing. Some are simple, while others pack an avalanche of features. But having choice is a good thing, and you can find an antivirus that’s more or less tailored to your needs. You may be on a budget, so paying a yearly subscription for antivirus services may not be ideal. Thankfully, there are a lot of good free options out there. 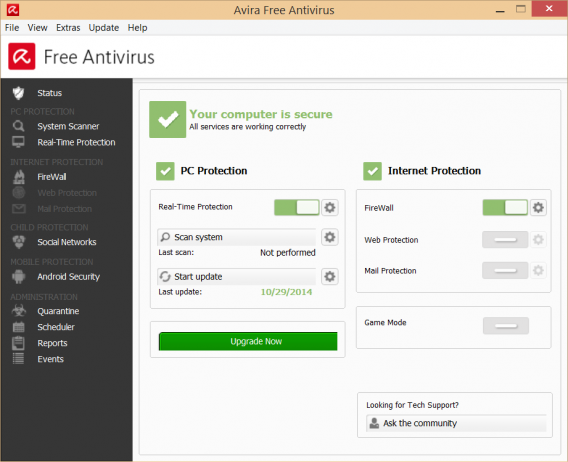 Here, I’ll go through the best free antivirus apps for your PC. I tested these on a new install of Windows and reset the system after each installation. Most antivirus apps feature comparable engines for detecting malware, so I’ll be focusing on the user experience and features. If you want more info about which antiviruses are the most effective at stopping viruses, check out our in-depth comparison. What I’ve found by testing these antivirus apps is that free doesn’t mean bad. In fact, there are so many good free options, it’s hard to decide which one’s best for you. That’s why I’m going to break down the best options for all types of users. 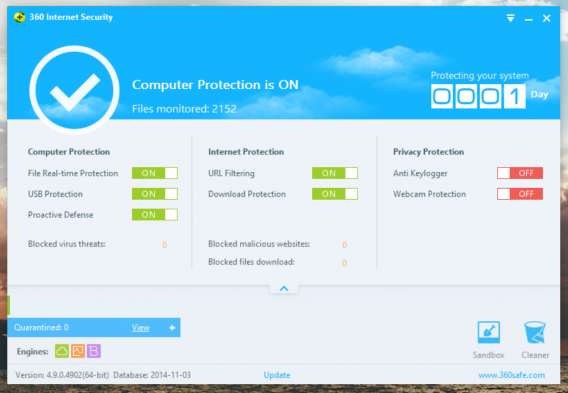 One of the best free antivirus apps out there already comes with your computer. Microsoft’s Windows Defender (previously called Microsoft Security Essentials) comes bundled with Windows 8, but you can download it for Windows 7 as well. The app is very basic and doesn’t have many features found in third-party antiviruses, but the good thing about being basic is the app uses very few system resources. 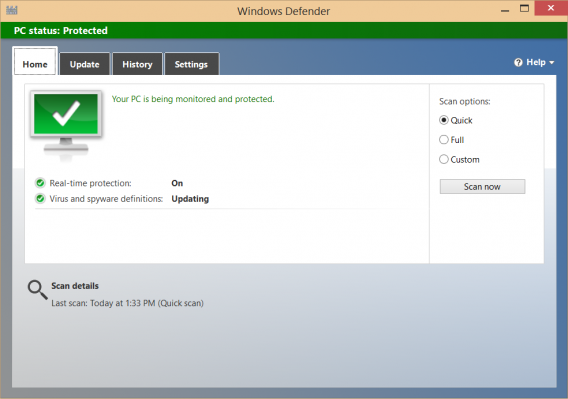 While Windows Defender’s antivirus engine is good, it’s not cutting edge. Independent test lab AV-TEST consistently ranks Windows Defender as poor, so don’t expect top-notch security. Still, some protection is better than nothing. If you ask most people what free antivirus they use, AVG will almost always come up, and for good reason. The Czech company has been around since 1991 and has a well established reputation for its great free antivirus app. AVG AntiVirus Free 2015 features a simple interface with large, easy to understand icons. The app protects your computer from viruses, malicious websites, and infected email attachments. The default interface is deceptively simple, but power users can dig into the settings for more advanced options. You can tell your computer to shut down after performing a scan, and you can adjust how much system resources you want to dedicate to AVG. If you choose to install AVG’s toolbar, you’ll be protected against targeted advertising. It will also provide secure search, which scans web results for malicious sites. AVG Free even comes bundled with a file shredder that makes sure your deleted files are unrecoverable. One thing that I didn’t like about AVG is how hard it tries to sell you on its premium apps and services. There will be parts of the program that are locked until you download another app or purchase a subscription. Although you may only be looking for an antivirus program for your PC, AVG does have products across platforms and offers one of the best security ecosystems out there. AVG Zen lets you monitor all of your family’s devices and computers, alerting you to which computers have updates. AVG is also working with phone carriers to bring its security technologies to more people via a monthly subscription. 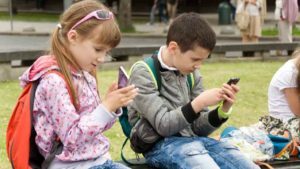 The company will provide more than just security via carriers, offering device diagnostics and cleaners to keep your family’s phones running smoothly. 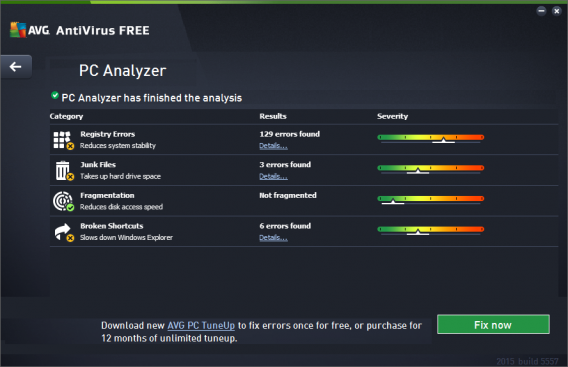 AVG Free remains one of the best free antivirus programs out there. 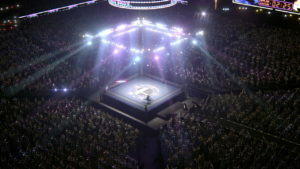 It’s also light on resources and performs scans quickly. 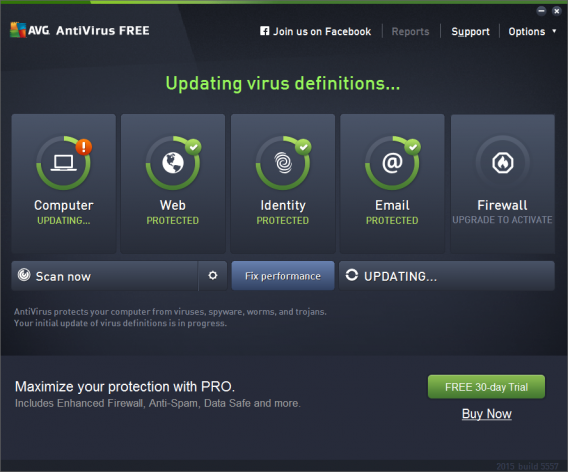 AVG’s ease of use and strong antivirus detection engine make it a top choice for users looking for a no-fuss antivirus. 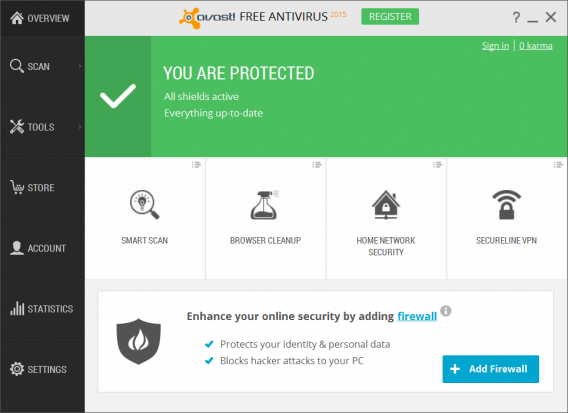 Another widely popular free antivirus is Avast. The company recently updated its app for 2015 with subtle tweaks to its interface and features. I like Avast for its ease of use and additional features beyond the antivirus. The program includes a browser clean up tool to clear your cookies and temporary files. You’d be surprised at how much space you’ll recover after running it. It even picked up AVG’s SafeGuard toolbar that was left over from uninstalling the antivirus. 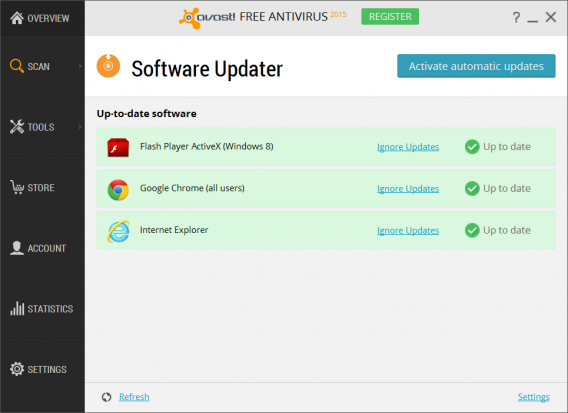 My favorite tool included with Avast is the Software Updater. The app scans your computer and alerts you when an app is outdated. This is a great service because outdated apps leave you vulnerable to attack. The Software Updater is especially useful for reminding yourself to update vulnerable software like Flash and Java. You’ll still have to update the programs yourself in the free version, but Avast can update your programs automatically in its premium versions. Most free antivirus products will try to sell you premium apps and services, but I like Avast because it’s upfront about it. There’s a Store section that lists all of the company’s products, and there are a ton of apps and services you can buy. I do, however, wish that Avast would simplify its product line. 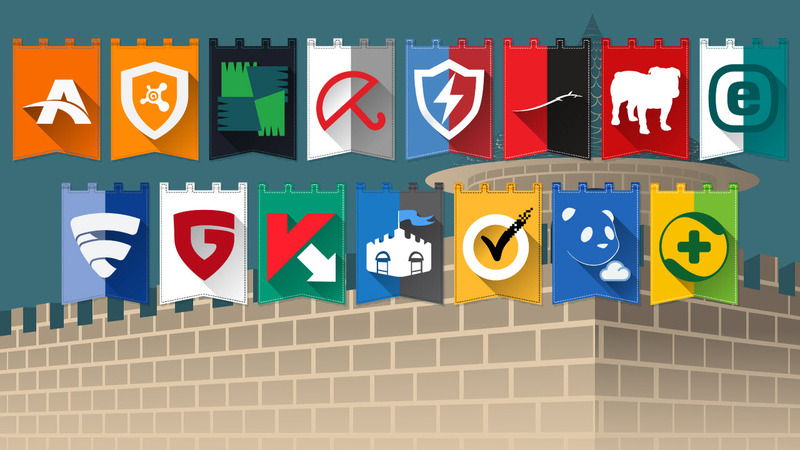 Like AVG, Avast offers a great ecosystem of apps to secure all your devices. The company offers apps on Android, iOS, and Mac to help secure your privacy and block threats. 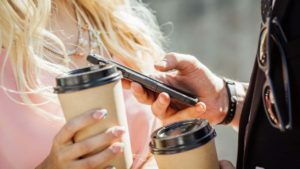 Its Android app adds even more value for its paid users by offering anti-theft features like remote control and backup features. The free version of Avast is still great and you can use the free Android Device Manager for basic anti-theft protection. German-based Avira consistently tops the charts for best free antivirus because of its excellent antivirus engine and additional features. Downloading Avira can take a while, so be patient. Once it’s up and running though, you’ll forget it’s there. The interface of Avira is good, but can be confusing. 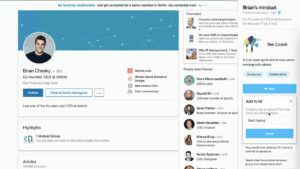 This can be attributed to the fact that there are basically two interfaces: the main interface, where you’ll find all the nitty-gritty settings and features, and a “notification” style interface that can be activated in the system tray. The notification style interface is extremely simple and lets you add “apps” that enhance Avira. For example, the anti-theft and system speedup options are grayed out, but you can click to download them. Basically, this interface acts more like an app launcher than an antivirus, while the antivirus part of the app runs quietly in the background. The main program interface is a bit confusing. While AVG and Avast opt for a few big, well labeled buttons, Avira looks more like a traditional antivirus app that gives you more information than you require. Buttons to start a system scan or to update the program are small. 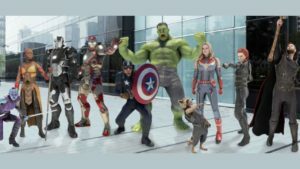 The left navigation column is also cluttered with tons of features, some of which are grayed out because they’re not included in the free version. While the interface isn’t super clear, Avira’s powerful antivirus scanning engine makes up for it. AV-Comparatives consistently rank Avira at the top of its charts for its ability to stop infections. AVG, Avast, Avira…there’s a pattern here. Many of the top antivirus programs start with the letter “A”, and Ad-Aware Free Antivirus+ is no exception. 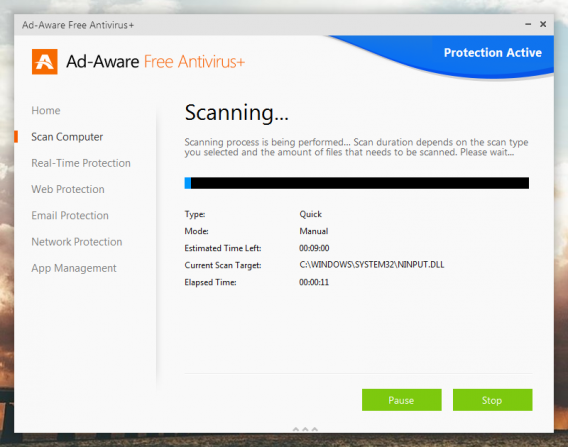 Ad-Aware’s virus detection engine has always been excellent, but lagged behind on its interface. Ad-Aware, however, has given it’s latest version a complete overhaul, making the app look modern and easy to use. The downside is that you have to register with your email for an activation key. This can be pretty annoying, especially if you just want to start scanning for infections right away. On the other hand, using Ad-Aware is a nice experience. There are still a lot of options for power users, but they’re hidden away for people who don’t want to deal with that. The app divides up its features into separate tabs for web, email, and network protection. 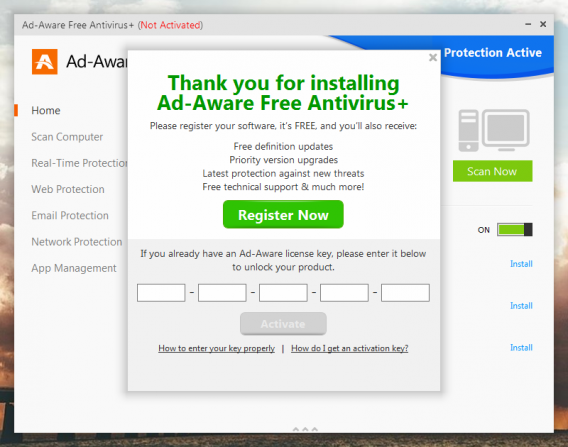 For this version, Ad-Aware switched its antivirus engine from VIPRE to Bitdefender, another trusted antivirus maker. Bitdefender always ranks highly on AV-TEST for virus detection and removal, so it’s not surprising to see Ad-Aware top the list as well. Bitdefender provides the antivirus engine for many antivirus apps, so it’s no surprise that it’s in this list. In addition to its excellent scanning and virus removal abilities, Bitdefender features a refreshingly simple interface. In fact, it’s probably the least intrusive antivirus thanks to its minimalistic interface. Having a minimalistic interface also means downloading and installation take no time at all. While some antiviruses in this list weigh in at over 200MB, Bitdefender is just a few MBs. You can download an install Bitdefender in under a minute. Power users will probably be turned off by Bitdefender’s lack of features and options, with the main interface only showing on and off switches for the app’s Virus Shield and automated scans. Bitdefender also offers real-time antivirus and anti-phishing protection, but users can trigger manual scans too. If you want the smallest, easiest to use free antivirus program, Bitdefender should be at the top of your list. Panda Free Antivirus 2015 makes a poor first impression, opting you into installing the company’s toolbar and setting Yahoo as your default search engine and homepage. If you can get past Panda Free’s attempt at making money from Yahoo, you’ll be treated to a fast and powerful antivirus app. Panda gets rated highly in AV-TEST’s benchmarks, and is much more effective than Windows Defender. Panda Free has an easy to use interface that resembles the Windows 8 and 10 Start Menu. Buttons for scans, the Process Monitor, and other features are large and easy to read. You can customize the interface by hitting the Edit button down at the bottom, although I think the default layout works just fine. Panda also includes a few nice bonus features. 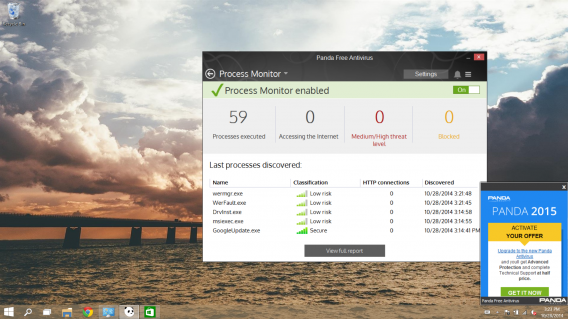 If you think there’s a strange process running on your PC, Panda’s process monitor will let you know if a process is secure or risky. There’s also a USB scanner so that any USB drive you connect to your computer will be checked for viruses. Panda Free leverages data collected from you and other users to bolster its virus blocking abilities. Your user data is anonymized, but you can opt out entirely if you want. I would leave it on so that everyone benefits from a stronger, more up-to-date virus engine. Putting Malwarebytes in this list is kind of cheating since it’s not an antivirus app. However, it’s still a must-download to use in addition to whatever antivirus you choose. To understand what Malwarebytes is, you have to define the difference between viruses and malware. On a very basic level, viruses are more established types of attacks, while malware is more recently discovered attacks. 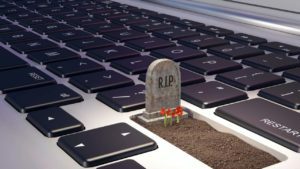 Malware encompasses things like “zero-day” flaws, which have immediate effects, but are usually patched by companies in a few weeks or months. Unlike traditional antiviruses that scan your computer continuously, the free version of Malwarebytes scans on demand. This means that your computer won’t be bogged down by simultaneous scans nor will Malwarebytes cause any compatibility issues with your installed antivirus. Malwarebytes also detects potentially unwanted programs, like toolbars, that don’t serve much purpose other than to spam users with advertisements. The app gives you the option to remove or keep them, since some users may find toolbars useful. The app’s interface is extremely simple and offers scheduled scans. This is a great feature that allows you to set your computer to be scanned when you’re not actively using it. 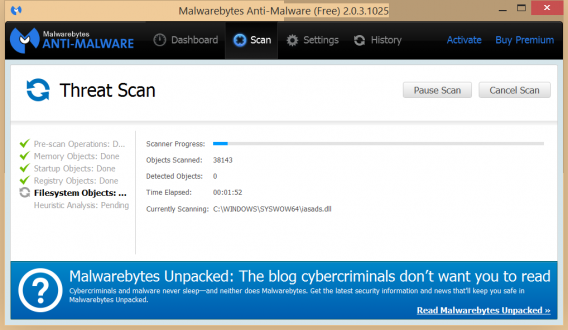 There’s not much you can do inside Malwarebytes besides scanning and removing malware, but that’s why it’s a great program. Like Bitdefender, the interface is simple and just gets the job done. Chinese software company Qihoo is relatively unknown in the United States, and that’s a shame because its antivirus is actually very good. Called 360 Internet Security, it installs quickly and has a simple, easy to use interface. The app comes with more than just an antivirus scanner. There’s a “sandbox” feature which lets you install apps in a container to prevent suspicious apps from wreaking havoc on your system. There’s also a simple “cleaner” tool that clears out your browser, Windows, and Office histories. It’s not going to replace CCleaner as my PC cleaner, but it’s a nice addition. Where 360 Internet Security really shines is finding and removing viruses. 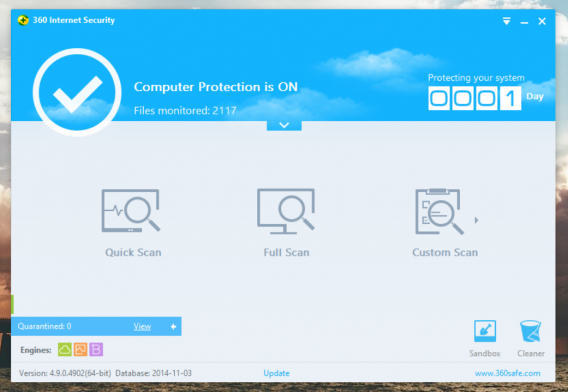 The app uses three scanning engines, including one from Bitdefender. It’s not surprising that 360 Internet Security gets good virus detection, since Bitdefender also tops the charts, including our own in-depth comparison. The app also includes scanning of removable USB drives, URLs, and downloads. There’s also optional privacy protection features like its Anti Keylogger and Webcam Protection. 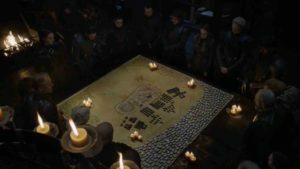 You’ll need to restart your computer after enabling these additional privacy features. 360 Internet Security’s scanning engines may be too good. Many times, the app found false positives, marking safe apps and cookies as malicious ones. Sometimes it’s nice to err on the side of caution, but I found the overzealous detection annoying. Still, 360 Internet Security may save you if you’re trying to remove viruses from an already infected machine. The app installs quickly and has excellent detection skills. 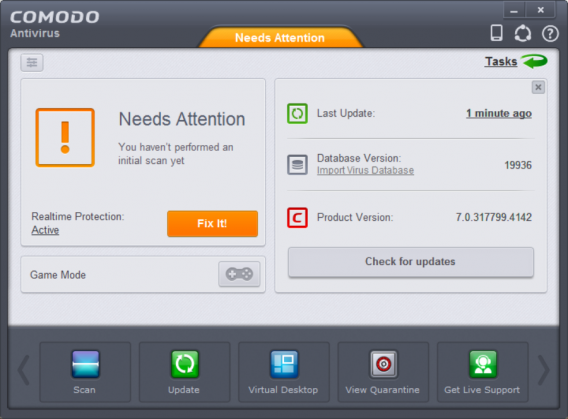 Comodo Antivirus is a good choice if you can get over a few of its annoying quirks. Right off the bat, you’re treated with a massive 208MB download. On top of that, Comodo is definitely not an app that’ll help you fix an already infected computer. The app also falls flat in terms of bundling unwanted apps during installation. Comodo pushes Yahoo as your home page and also installs its web browser and support app without asking you. Less tech savvy users may find Comodo’s Geek Buddy support chat app useful, but power users will be irked by its unauthorized installation. If you can get over these annoyances though, Comodo has a good antivirus engine, albeit a little overzealous like 360 Internet Security. 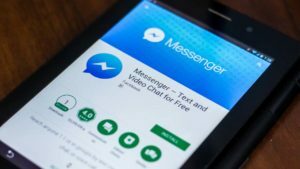 The app marked several safe cookies and apps as malicious. Comodo is also a bit alarmist, telling me my machine was “At Risk” even when it was installed on a clean computer. Beyond its antivirus scan, Comodo Antivirus includes a sandbox and free use of the company’s SecureDNS service, protecting against website attacks. The interface of Comodo Antivirus also leaves something to be desired. The application spreads itself out over separate windows for different features. There’s also a ton of preferences and options, which is great for power users, but less so for users who just want something simple. 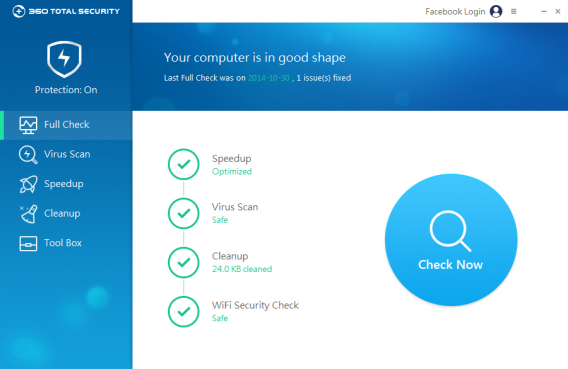 If you want a comprehensive antivirus and PC cleaning solution, you should check out Qihoo 360 Total Security. This app is an honorable mention because I prefer the leaner, 360 Internet security app the company makes. However, if you want an app that offers real-time virus protection, cleaning tools, and malware removal, then 360 Total Security is a great app. It’s pretty incredible that they include all these features for free. I also like 360 Total Security’s sandbox feature, which lets you install apps in a controlled environment. This means you can install an app that won’t have access to the rest of your computer, keeping your files safe from harm. One downside to having such a comprehensive app is that 360 Total Security uses a lot more system resources than other antivirus apps. If you have limited RAM, your system may experience some lag. However, if your PC is powerful enough, this won’t matter. To reiterate what I said in the beginning, free doesn’t mean bad. You’ll have to ask yourself how involved you want to be in the maintence of your PC. 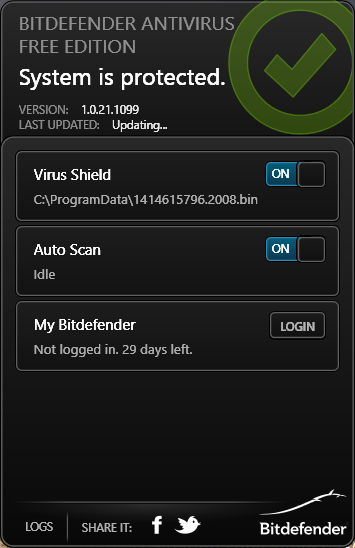 If you want a simple free antivirus app that just works, try Bitdefender. 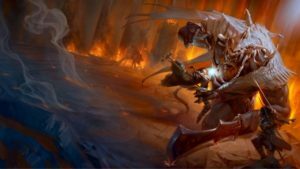 Want something a bit more well rounded with useful features? 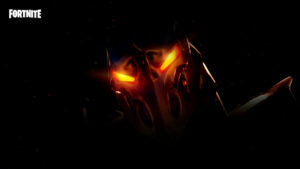 Try out Avast or AVG. I recommend you pick an antivirus and also install Malwarebytes to stay on top of the latest malware attacks. Malwarebytes won’t cause compatibility conflicts, since it doesn’t do active scanning, but if you run Malwarebytes weekly and let your antivirus scan continuously, your PC should remain infection free for a long time. Above all, don’t treat any of these apps as your first line of defense or a cure all. The first line of defense should always be you. Use your judgement when visiting websites, and be aware of potential risks where you’re downloading new programs. Remember, protecting your PC and your identity doesn’t have to be a chore. Do you have an Android device? 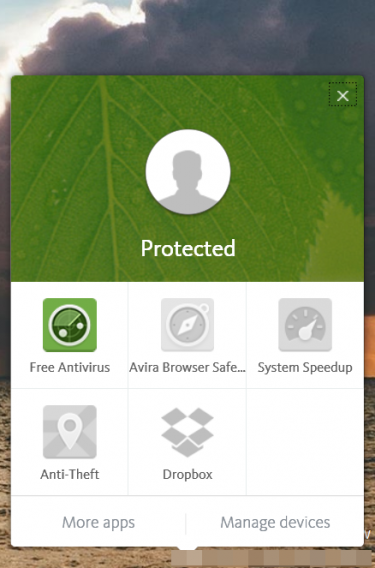 Check out our Best free Android antivirus comparison.